In the small coastal community of Gibsons BC Coastal Craft has a strong team that produces a beautiful product. On my way to meet up with the crew from Coastal Craft for a factory visit, I can’t help but feel a bit nostalgic. Coastal Craft is headquartered in Gibsons, British Columbia, the small village that served as the setting of one of my all-time favorite TV shows growing up: The Beachcombers. This long-running show (nearly 400 episodes aired over its 18-year run) followed the life of a Greek-Canadian log salvager in Gibsons. As I’m a small town B.C. boy myself, the show resonated with me. But I wasn’t just excited to visit the location that inspired my favorite childhood program. Growing up on the water and in the marine business, I was lucky enough to experience the beauty of the Canadian coast and get into boating early. And for me, Coastal Craft is a company that represents the traditional values of the maritime industry on British Columbia’s Sunshine Coast. In Gibsons, a town with just over 4,500 residents, Coastal Craft is one of the largest employers. But in the world of boat building, they are very much still considered a small business, counting fewer than 50 employees. During the four days I spent in and around the factory, I was able to spend considerable time with the team, watching them work, and interviewing them about their daily lives. The first thing that surprised me was to learn that the company experiences very little employee turnover, which allows them to work more on boatbuilding than on having to continually hire and train new staff. 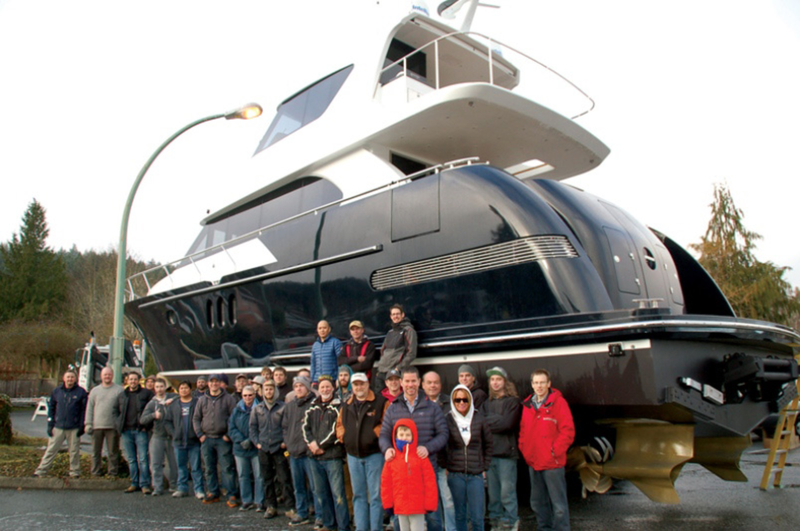 Coastal Craft’s staff consists of a number of people who grew up nearby as well as several craftspeople who were drawn to Gibsons for the job and the opportunity to build top-notch aluminum cruising boats. President and founder, Jeff Rhodes, also grew up in Gibsons and had a passion for boats from an early age. 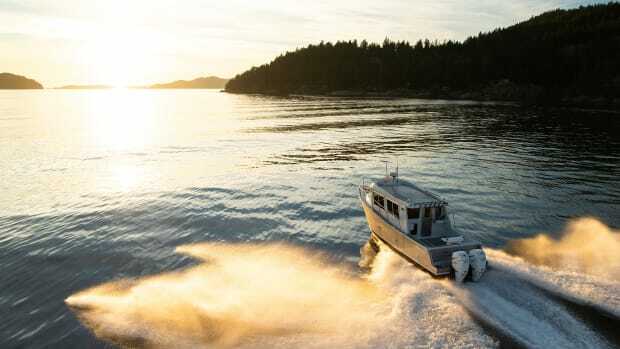 While working on the coast, Jeff saw an opportunity with a local fabrication company to start building aluminum workboats that could meet the large demand he saw in the B.C. province. During summer months, the BC coastline has some of the best cruising grounds in the world, with well-protected, deep anchorages and inlets teeming with wildlife. However, for people that call the remote areas of the B.C. wilderness home, life on the water doesn’t stop when the ideal cruising season ends. 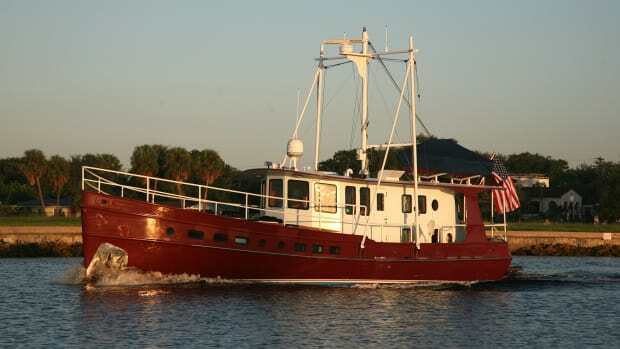 With this style of coastal living, there is a need for tough, durable, and reliable boats for year-round transportation, and, for those who can put up with the rainy winter months, endless cruising. To address this demand, Coastal Craft was born. Time and tape. Prepping the new 45 for painting the cabin and flybridge. 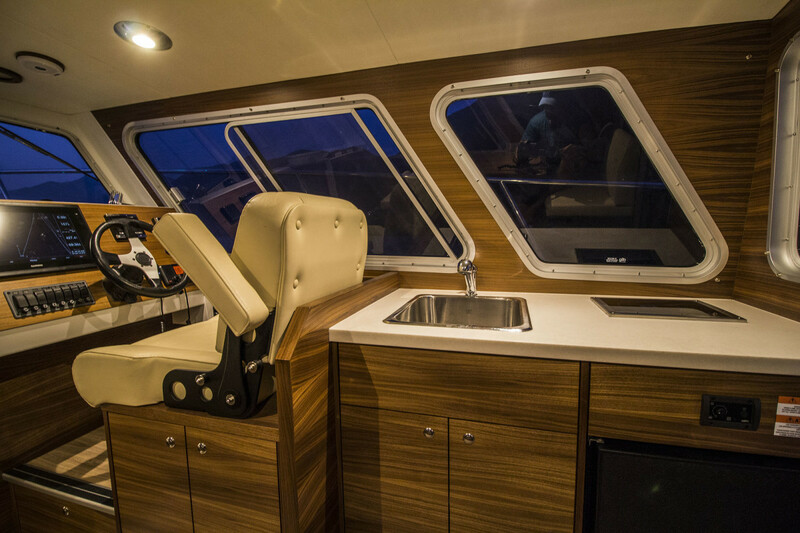 The Coastal Craft team is small but their combined experience runs deep, and the staff brings a passion for craftsmanship that is noticeable in every detail throughout the boat, from the contrast of the inlay in the galley to the bead on every weld. Jeff understands passion for work, but he also respects quality of life and the importance of spending time with family. Coastal Craft’s work schedule reflects those values. As an example, the team decided to shorten their breaks during the day, allowing them to be home by 3:45 p.m. while not hurting their productivity. This schedule allows employees time to enjoy Sunshine Coast lifestyle in an area they all treasure, and it also helps reduce staff burnout and reduce the risk that quality will be threatened by complacency. Talking with one of their fit-out managers, I learned that his personal theory on this really reinforced the effort to keep the staff engaged and focused on the task at hand. He believes that once you perfect whatever skill you’re doing, teach someone else the same technique and move on to the next challenge. Working hard to get the two new Profish 30s ready. 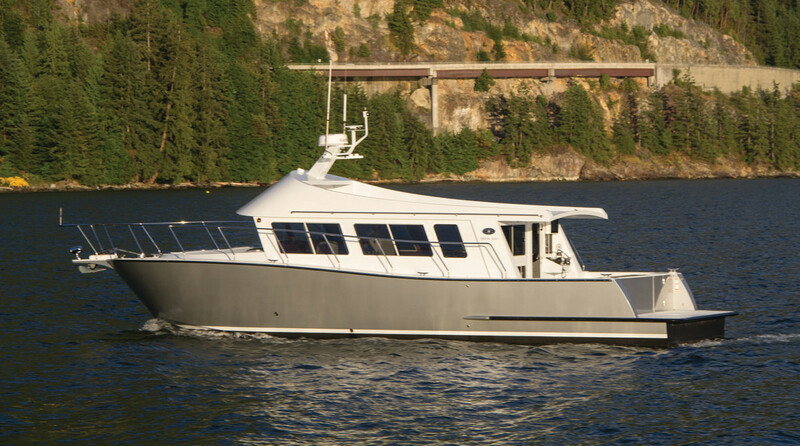 One is headed up the Inside Passage to Alaska and another was sold to a local client. Finding key team leaders and empowering them to make the company their own has definitely made Jeff’s company stronger. Sean, Coastal Craft’s fabrication manager who joined the company a few years ago, brings 37 years of shipbuilding experience. 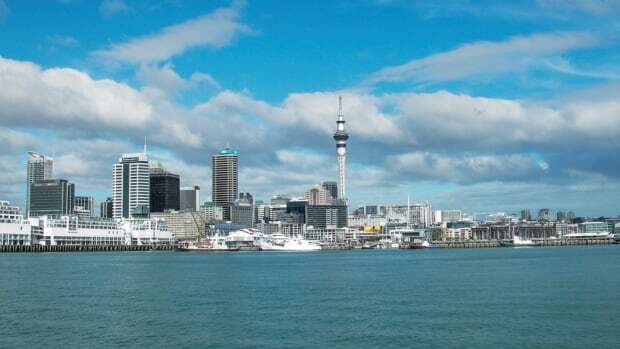 Building ferries and Coast Guard vessels across Canada, as well as in Dubai and Australia, Sean learned so much about building large boats, but also managing a big business. Being part of a smaller company, he is now getting the opportunity to spend more time working intimately with his crew on all levels to help them hone their skills. 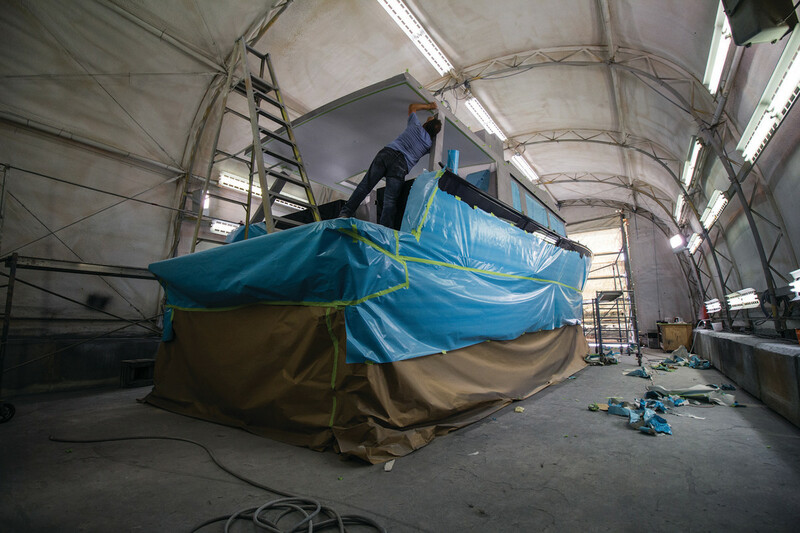 The team has always taken pride in their work, making sure everything the client sees on their new yacht is done to perfection. Sean has worked to take that mindset to the next level, striving for perfection even with the parts of the boat the customer will never see. 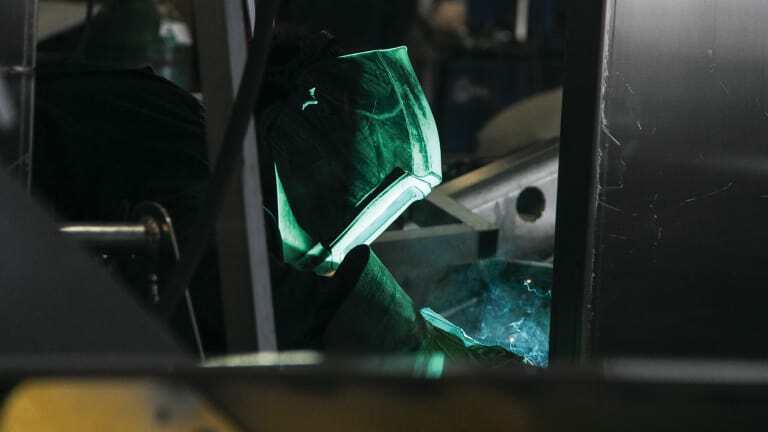 Taking pride in every weld gives each employee a sense of ownership of the finished product, no matter how large or small the role they played. The warm interior of the 45 Sedan. Sean’s team in the fabrication shop comes from a range of backgrounds. 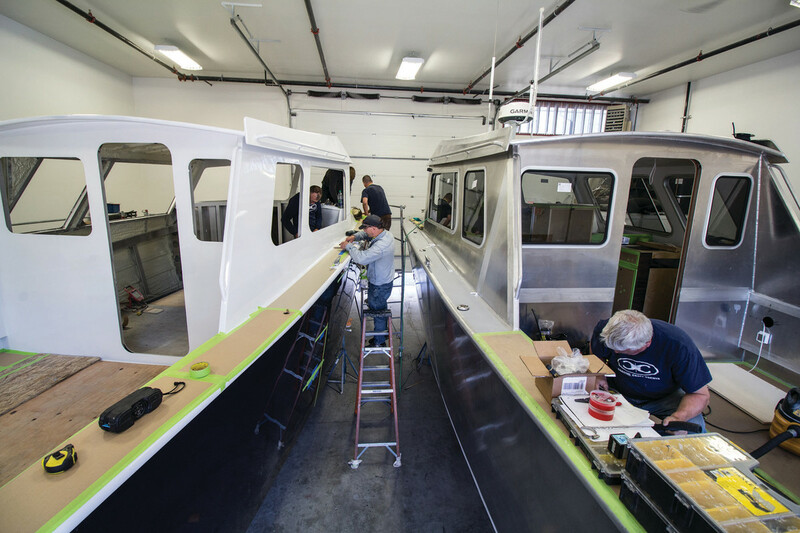 Some had welding experience before they joined Coastal Craft, like Dave, who grew up building boats with his dad and was a part of the team that built Coastal Craft’s inaugural cruising boat in 2005. Other members of the fabrication team, like Cory and Fred, have grown with the company and learned along the way. Fred, who has been with Coastal Craft for 14 years, started out in the paint department and had never welded in his life. But to watch him lay the first two pieces of the latest 45 hull with such precision, you’d never know it. Cory, whose father heads up their small boat division, started sweeping the shop floors years ago and is now a key part of the fabrication team. He just returned from another session at the British Columbia Institute of Technology (BCIT), eager to apply what he has learned to the latest build. Professional development is another value of Jeff’s, and many crew members have taken advantage of these continuing education opportunities to improve and advance their skillsets. Metal takes form in the fabrication shop. In addition to developing in-house talent, Coastal Craft’s ability to adapt to the ever-changing technology allows them to create more in their shops than you might expect from such a small company. 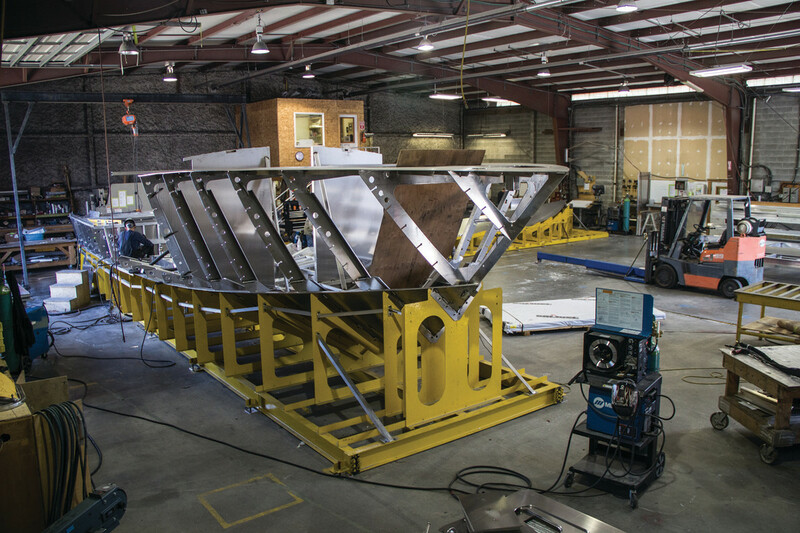 What separates Coastal Craft from a lot of other aluminum boat builders is the high-quality work created by the joinery team. While the CNC router has revolutionized the interior design and precision aspects of each build, the finished product is also a credit to the creativity of the woodshop crew that makes the finishes possible. The shop’s foreman, Tyler, moved to the Sunshine Coast in his early teens and responded to an ad looking for entry-level helpers. That was 13 years ago and now he’s running the shop. Jesse, their lead hand in joinery, has been with the company for 10 years. Hailing from Ontario, he has a long history of woodworking, from finish work to building log homes. Since Coastal Craft is a custom builder, having creative problem solvers like Jesse and Tyler is paramount to success. And like the other departments, these two shine most when the pressure is on. Watching both interact with Jeff as they look to finalize the interior on their latest 30-foot Profish model, it’s clear their talents are appreciated at the company. Miguel, the paintshop foreman, is equally talented and versatile. While living in Los Angeles and working as a painter in the automotive industry, he also played drums for various blues bands. Originally from Montreal, Miguel has been with Coastal Craft for almost six years, moving here for the coastal lifestyle and to be closer to family. He responded to a Coastal Craft ad for painters and was excited to test his painting skills in a new industry. Watching him and his team work on any task, even just taping, it’s clear that they take pride in every step of the process. And it really shows in the finished product. That dark blue sheen that we’re accustomed to seeing on Coastal Crafts is proof that Miguel’s crew is very good at what they do. It’s easy to see that Coastal Craft produces high quality work, but equally important is the way the organization is run. For a company to be around for 22 years and experience such infrequent employee turnover shows they treat their employees well and work to make it fun to come to work each day. 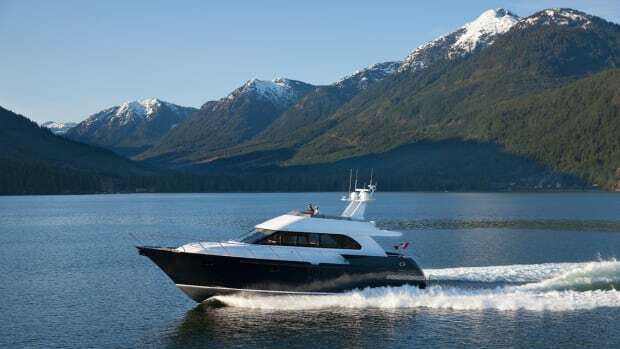 Cruising home in the new Coastal Craft 45-foot Sedan, after spending a few days with the team, my new appreciation of all the fine detail throughout the yacht was one of the only things that could rival the beautiful passing landscape of Howe Sound. So much time, effort, and love has been put into every aspect of this great build.